Is Tower Semiconductor Ltd. (USA) (TSEM) A Good Stock To Buy Right Now? The Insider Monkey team has completed processing the quarterly 13F filings for the September quarter submitted by the hedge funds and other money managers included in our extensive database. Most hedge funds have been producing disappointing net returns in recent years, however that was partly due to the poor performance of small-cap stocks in general. Well, small-cap stocks finally turned the corner and have been beating the large-cap stocks by more than 10 percentage points over the last 5 months.This means the relevancy of hedge funds’ public filings became inarguable, as they may reveal numerous high-potential stocks. The following article will discuss the smart money sentiment towards Tower Semiconductor Ltd. (USA) (NASDAQ:TSEM). Is Tower Semiconductor Ltd. (USA) (NASDAQ:TSEM) ready to rally soon? The smart money is in an optimistic mood. 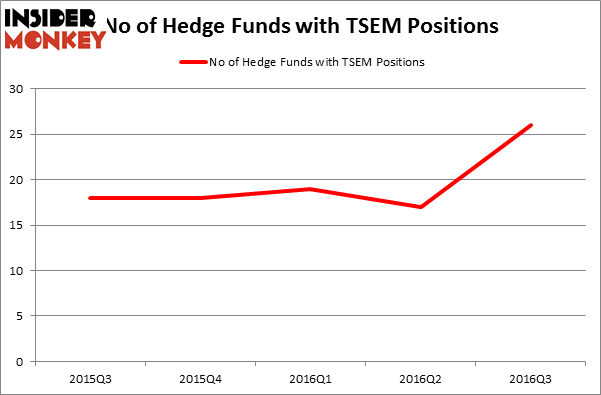 The number of long hedge fund bets increased by 9 recently. At the end of this article we will also compare TSEM to other stocks including McEwen Mining Inc (NYSE:MUX), Infoblox Inc (NYSE:BLOX), and Achillion Pharmaceuticals, Inc. (NASDAQ:ACHN) to get a better sense of its popularity. With all of this in mind, let’s take a peek at the new action surrounding Tower Semiconductor Ltd. (USA) (NASDAQ:TSEM). 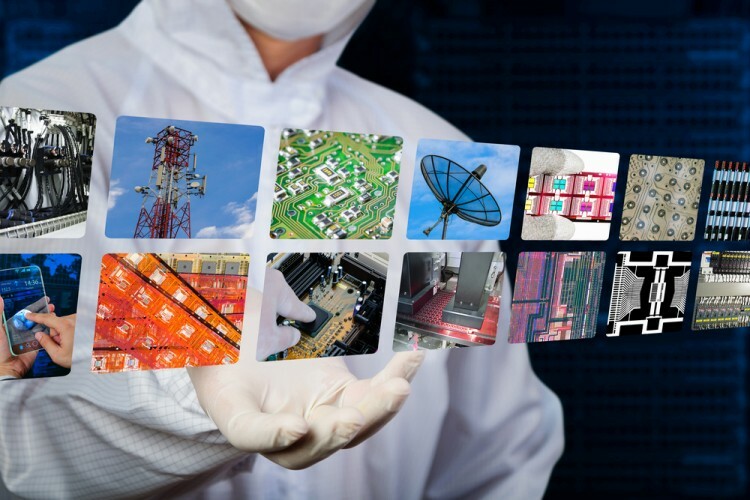 What have hedge funds been doing with Tower Semiconductor Ltd. (USA) (NASDAQ:TSEM)? At the end of the third quarter, a total of 26 of the hedge funds tracked by Insider Monkey were bullish on this stock, a rise of 53% from the previous quarter. With hedge funds’ capital changing hands, there exists a select group of key hedge fund managers who were upping their stakes meaningfully (or already accumulated large positions). Of the funds tracked by Insider Monkey, Richard Mashaal’s Rima Senvest Management has the largest position in Tower Semiconductor Ltd. (USA) (NASDAQ:TSEM), worth close to $114.6 million, amounting to 8.2% of its total 13F portfolio. The second most bullish fund manager is Michael M. Rothenberg of Moab Capital Partners, with a $24.1 million position; the fund has 7.8% of its 13F portfolio invested in the stock. Some other hedge funds and institutional investors that are bullish consist of Israel Englander’s Millennium Management, Panayotis Takis Sparaggis’ Alkeon Capital Management and Paul Marshall and Ian Wace’s Marshall Wace LLP.